Oh my, So many BIG things going on in the life of our family….sadly, I’m experiencing some computer problems and I may have lost my pictures from the past year (Noooooooo! Praying they can be retrieved). I’ll have to wait to post a longer update but for now I just wanted to post this precious moment I captured yesterday at the a Special Olympics. Rudy was NOT motivated to participate….especially with the large crowd of cheering spectators yelling on the sidelines. 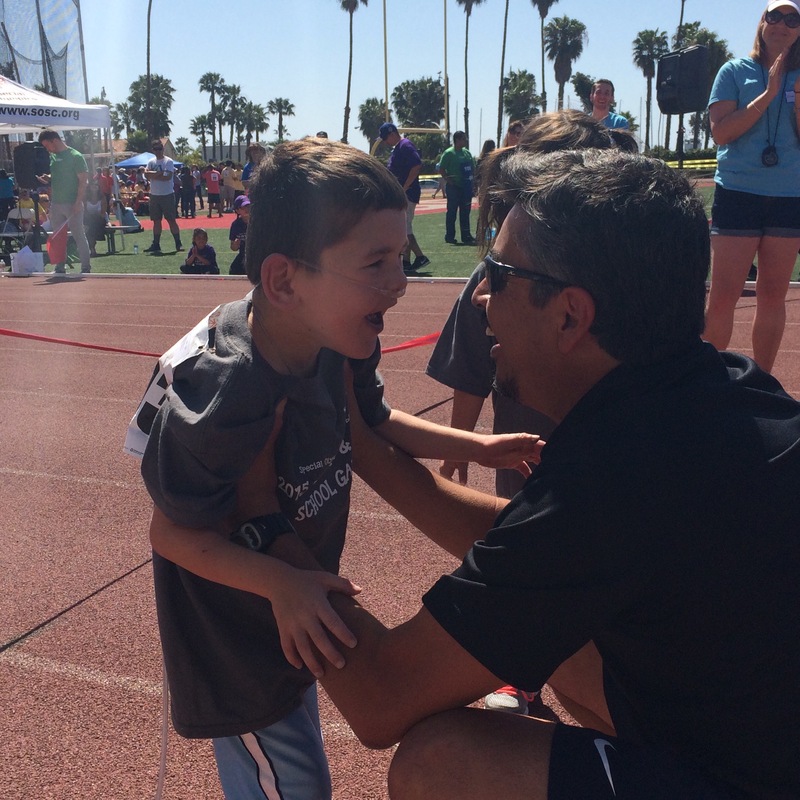 He did, however, perk up when he saw Coach Galvan (his Adaptive PE Teacher) and all of a sudden he was all smiles! Way to go Coach! Way to go Special Olympics! Previous Post Happy Easter! Wait…I mean, Merry Christmas? Next Post A Spring full of Super Stars!